is having their annual Family Fun and Wellness Fair. Pretend City is amazing all on its own, but this event makes it even cooler. 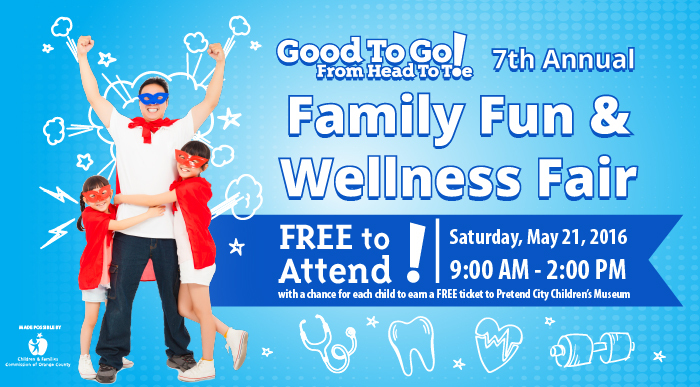 During the wellness fair you can bring your kids for FREE HEALTH SCREENINGS!!! important screenings that are not normallyincluded in regular well-child check ups. It also connects you with great health services if anything arises during the screenings. It will be a fun atmosphere with music, food and entertainment. you will receive a FREE ticket to Pretend City! And if you visit all the booths, you'll be entered to win a special prize!